A nature preserve is supposed to be a protected area that serves as a sanctuary for wildlife. But this is not the case in Torrance, Calif., where cruel traps to snare coyotes have been placed inside Madrona Marsh, a nature preserve and important wildlife corridor owned by the city. Because of the severe drought, coyotes have been wandering into suburban areas of California in their desperate search for water. Some cities are dealing with them humanely. Residents are urged not to feed the coyotes, to bring pets and pet food inside at night, keep garbage cans secured, and to yell and wave a stick to scare off these naturally shy creatures. Although more than 150 coyotes have been seen around Torrance since January, until very recently the city did little to educate people about how to coexist with them (I know this because I'm a resident). 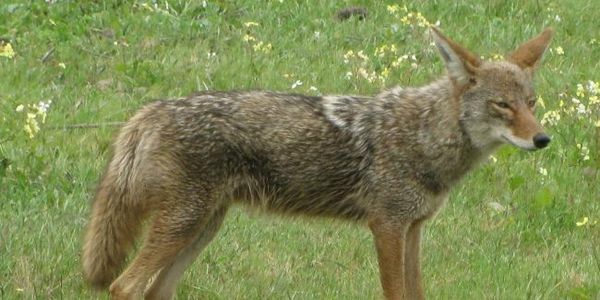 On June 14, city officials unanimously approved an Urban Coyote Management Plan. If a coyote attacks or has a close encounter with a human, the plan says, it will be trapped and killed. The plan also describes how to keep coyotes away, except in "open spaces where coyotes are appropriate" – which sounds like an accurate description of Madrona Marsh. Although not one person in Torrance has been attacked, the city went ahead and set traps where coyotes were frequently seen – including inside this "coyote-appropriate" open space. At least one coyote has been killed in what should be a wildlife sanctuary. These cruel traps don't belong anywhere – and placing them in a nature preserve is especially despicable. Until they're removed from Madrona Marsh, coyotes as well as other wildlife (and human visitors who wander off the trails) are in danger of being snared. Please sign and share this petition telling Torrance city officials to remove these traps from Madrona Marsh immediately. As coyote experts explained in the June 14 Torrance city council meeting, using traps isn't only cruel, but it's also proven to be ineffective. The coyote population has rebounded in cities that decided to use traps. While it is disappointing that council members nevertheless approved the Urban Coyote Management Plan, which calls for the trapping and killing of coyotes that have attacked or had close encounters with people, I am writing because it is especially disturbing that traps were set in the Madrona Marsh preserve, a sanctuary for wildlife. Appendix A of the Urban Coyote Management Plan describes "open spaces where coyotes are appropriate" – which sounds like a description of Madrona Marsh. These traps will not only catch coyotes but snare other wildlife as well, as well as human visitors who wander off the trails. Please leave the wildlife in Madrona Marsh alone and remove these traps immediately.